World Water Day occurs every year on March 22, advocating for a more conscientious and sustainable use of our freshwater supply. Since initiated by the UN in 1993, it seeks to raise awareness and promote solutions for effective management of the world's most vital resource. The issue of water conservation has resonated with Duravit for decades. As bathrooms play a part in indoor water use, Duravit has stood out as a leader in sustainability, having been a WaterSense partner for over 10 years. Throughout their WaterSense partnership, Duravit has been able to save over 2.1 trillion gallons of water and over $40 billion in water + energy bills. 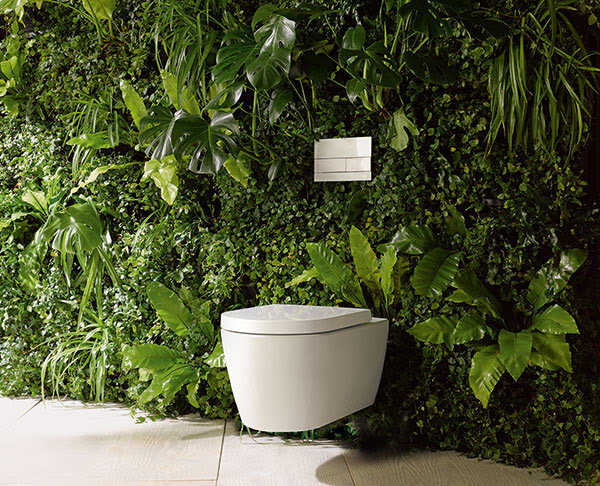 All Duravit wall- and floor-mounted toilets are WaterSense approved, which means that they meet the EPA’s rigorous performance mandate for High Efficiency Toilets (HET) - which is 1.28 or fewer gallons per flush (gpf). Learn more about Duravit's impressive stance on energy-efficient, adaptable design. Yes, It IS Easy To Be "GREEN" - And To Be Beautiful! Once upon a time, the terms “green kitchen” or “sustainable bath” would have seemed impossible, maybe even laughable. With limited product offerings, designers and builders were left with little more than a typical, standard bath or kitchen. But times have changed. Today, the idea of a “green” bath or kitchen may still seem uncertain to some builders, but it shouldn’t be. Just like any other part of the house, these spaces can be designed using eco-conscious ideas and products. But what exactly constitutes a green or eco-friendly bathroom or kitchen? Simply put, it includes rooms and products that use less water, a home that saves energy, contains environmentally-friendly products and includes spaces that are thoughtfully constructed with resource-efficient materials. Thankfully, industry professionals who are inclined to design spaces with these characteristics can now do so because manufacturers have been working hard to make it possible. ”At Rocky Mountain Hardware, we believe that being environmentally responsible is part of our job. As an environmentally, socially and economically sustainable business, we put our values into practice every day, from supporting numerous local charities to living greener, especially when it comes to manufacturing products. All sand used to cast molds is reconditioned on an hourly basis for reuse, resulting in zero waste. Bronze chips and grinding dust are also recycled with absolutely no byproduct. For us, living green is more than just an ideal -it truly is a way of life. All Rocky Mountain Hardware products are cast of 100% art-grade recycled bronze. Our product is third party certified to contain a minimum of 90% recycled content, 50% of which is post-consumer. Post-consumer waste is that which would typically go to a landfill. Each piece is finished in our eco-friendly patina process to create the beautiful hues for which we are known. While our product is made from 100% recycled bronze, our certification is for 90% recycled content because it takes into account the lock mechanism and other non-recycled sub-assemblies. Our product can contribute towards earning up to 2 LEED® points. All manufacturing facilities are in Idaho, USA. Our corporate headquarters is LEED® Gold. Our efforts to meet this standard will help mitigate the building's effect on the environment while providing a tangible example of our commitment to the environment. Water. Water is essential to life and an element that has played an important role since the beginning of time and across numerous cultures. It affects both our body and spirit. From Roman baths to hot mineral springs, humans have utilized water through the centuries as a bathing ritual and there is evidence the therapeutic use of water has been practiced by numerous ancient civilizations. Today we still enjoy the act of bathing, but since the early 1800s when the shower was invented, we have come to appreciate the convenience of showering. Just as a bath can do more than provide personal hygiene, a shower can also accomplish more than washing away grime. Consumers now want showers offering multiple functionalities so they can be used to not only clean but also relax, energize, and even heal; to provide overall bliss and healthness (health + wellness). For this reason, the biggest shower trend in 2019 is the transformation of the shower into a private spa (sanus per aquam - health through water). To design a personal home shower spa you need a variety of plumbing products that provide hydrotherapy with hot water and cold; all at different pressures and water shapes. Some of the most advanced and exciting personal spa fittings are made by the luxury faucet manufacturer, Dornbracht, whose products are produced solely in Germany and are known for their design and plating excellence. They use their knowledge of the effects of water as the starting point for product development in the fabrication of shower heads, pressurized sprays, affusion pipes, and completely digitized shower systems. Their expertise and passion has led to their ability to transform water. Hot water in the shower is nothing new and we know it lowers stress, alleviates pain, soothes and prepares us for sleep, elevates oxytocin levels, and reduces cold symptoms such as a stuffy nose. However, you may be surprised to learn that cold water is equally beneficial. Cold water treatments have been proven to increase circulation by drawing blood to our organs, diminish muscle soreness, relieve depression, and boost overall oxygen intake. Hot and cold water, regardless of how delivered over one’s body provides benefits, but the advantage is amplified with the change in water pattern and pressure. Water that forms in huge, gently falling drops, mimicking rain, makes you feel as if you are showering in the open air. Dornbracht studied in detail the nature of raindrops and learned they fall light as a feather, bursting softly on the body. Dornbracht then developed shower heads and sprays imitating this exact effect. With Dornbracht’s large ceiling mounted shower heads such as Rain Sky, Big Rain and Just Rain, the user experiences a pleasant tingling sensation as the water drops over their body. Additionally, Dornbracht’s new, 2018 Interior Design Best of Year winner, Rainmoon, provides a unique home spa experience. 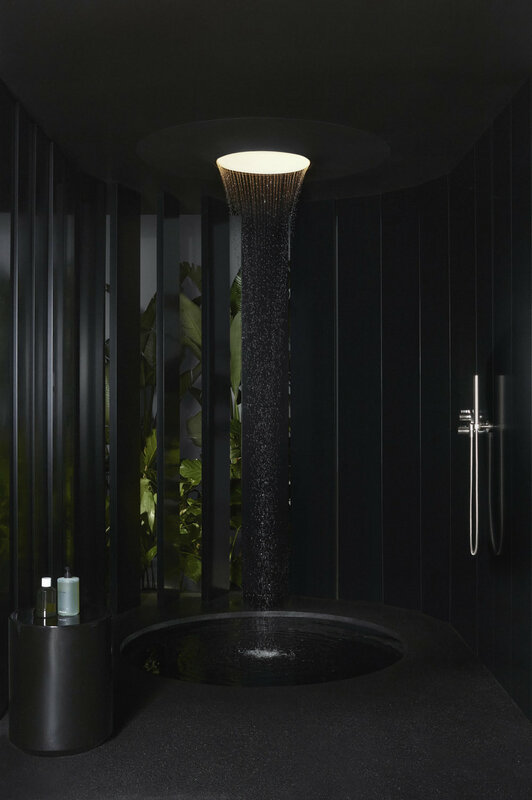 It has two newly developed flow modes; the Tempest with large, soft droplets pouring down from every direction and the Aqua Circle delivering water in the shape of a gentle funnel; all under a domed moon light. This results in the user having the feeling of infiniteness when gazing upwards. Water that flows in a cascade makes you feel as if you are underneath a natural waterfall. Dornbracht offers three cascading shower heads: Water Fall, generating a deluge of water pouring over you as if under a natural waterfall; Water Sheet, supplying an arc of gushing water from a wide, flat spout; and Water Fall Pearl Stream, delivering individual streamlets of water sluicing over the user. A soft water jet provides a gentle and relaxing massage; whereas, a powerfully pulsating massage jet invigorates and deeply relaxes. For a more intense massage, Dornbracht offers pressurized body sprays called Aqua Pressure Body Sprays. These are not meant to lightly spritz like body sprays of the past; they actually generate a pressurized stream of water resulting in a deep water massage. The Water Curve provides a powerful neck massage and the vertical and horizontal Water Fans supply a back massage. Another personal spa shower system product offered by Dornbracht is the Kneipp Hose or Affusion Pipe. These hoses provide only cold water and are used after a warm water shower to produce a hydrotherapy response. With 1 to 60 second applications, temperature stimuli use the skin to trigger positive reactions in the body, such as the narrowing of blood vessels which promotes circulation and invigoration. Lastly, the most advanced faucetry being selected for a personal spa shower, is complete digital systems. Digitized showers that are programmed to run different scenarios by quickly changing the temperature and pressure of water from various shower heads and sprays in an orchestrated choreography. This allows the user to stand in the shower or lay on a warmed stone bench and in 5 minutes receive a treatment that energizes, relaxes, or brings harmony to their body. Dornbracht is in the forefront of this technology with their ATT (Ambient Tuning Technique) Vertical and Horizontal Showers. This advance shower system operates by using individual computer chips in separate valves for each shower function allowing the faucets to magically perform a water cure. With all of the specialized shower options available today and the importance of health and wellbeing during our busy lives, it is no wonder the biggest shower trend is to transform your home’s shower into a personalized spa. Doing so will allow you to experience the benefits on a daily basis, at any time, all within the convenience and privacy of your own home. Now doesn’t that sound like bliss? Cynthia Carter, Partner with Next Generation Marketing - an Independent Manufacturer’s Representative in Texas, and Immediate Past President of the Decorative Plumbing and Hardware Association. She is passionate about luxury residential and commercial plumbing and hardware products and is honored to represent well respected and industry leading manufacturers, including DORNBRACHT. Pamper the most important person in the world…YOU! Let’s make 2019 the year of taking care of yourself… What does that bring to mind? A spa in the mountains? Repeatable several times a week? Picture yourself in one or more of these photos? WHY JUST DECK THE HALLS WHEN . . .
in elegance and style ! We asked our own sales team what they think the perfect Holiday gifts would be from Elegant Additions. My perfect Christmas gift from Elegant Additions would be any Jason Tub featuring the MicroSilk System. First, Jason has mastered the art of hydrotherapy - when water is the healer. Soothing tired, aching muscles, improving blood circulation, even simple relaxation, hydrotherapy is so important when choosing a tub for yourself. Studies have shown users of hydrotherapy sleep better, feel more energized during the day, have reduced blood pressure, fewer headaches, and are generally less stressed. Now, imagine paring hydrotherapy with the magic of MicroSilk. Don’t know what it is? To put it simply, it’s the Fountain of Youth. Literally. While relaxing in your Jason tub, you can turn on the MicroSilk function. Small bubbles will begin to pour in from the side of the tub. Eventually, the tub will turn into a milky color. No, it’s not milk. It is still just water! What is making it look milky are the bubbles. These bubbles are so incredibly tiny that they are actually penetrating the skin’s surface removing impurities, carry oxygen for improved metabolism, exfoliate, and improve hydration. All in just 20 minutes of soaking. You do absolutely nothing! I think that is the best part of it all. You’re probably also thinking “ok, 20 minutes…the water will not stay warm for that long.” Wrong! These miracle bubbles collapse under water, therefore keeping your bath warm the entire duration of your soak. Any other bath, bubbles rise to the surface and accelerate the release of heat back into the atmosphere, hence why your water won’t stay warm. Staying warm enhances the effects of both MicroSilk and hydrotherapy: absorbing moisture, improving circulation, opening pores to release toxins, and increase cardiovascular activity. It’s a facial for your body. You will get out of the tub feeling exfoliated, hydrated, moisturized, and totally relaxed. And for those who worry about the effects of aging or have skin conditions: worry no more. Wrinkles will begin to disappear. Bruises and cuts will begin to heal quicker. Dry, itchy, irritated skin will be soothed. You will literally look younger and be healthier. MicroSilk is truly a miracle for your body, and your body will thank you. If you would like to try this miracle out for yourself, stop into our Dallas showroom. We have a Jason tub with MicroSilk on display and we would love to show you how truly incredible it is! My pick is the Vola Wall Mounted Round Shower Head. Excellent design, the finest materials and Danish craftsmanship. Manufactured from a solid 1322 pound rod 11” in diameter, they produce 43 round showers. 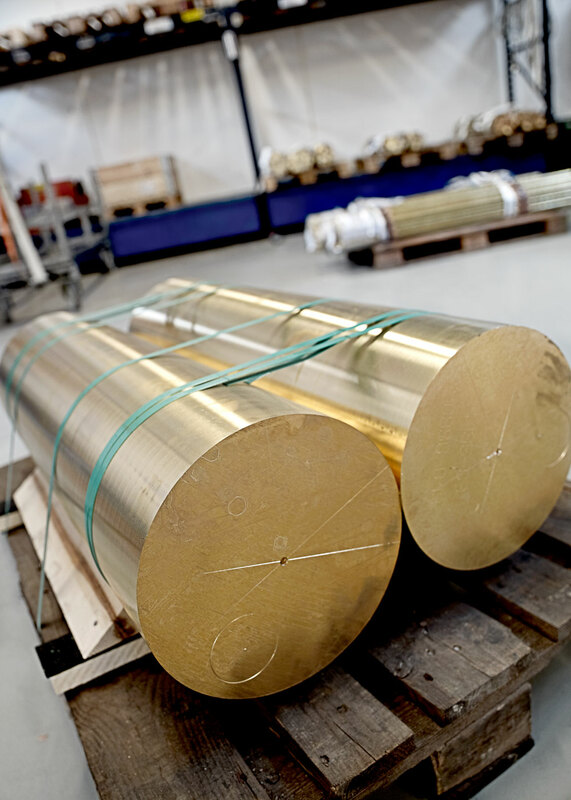 Each brass or stainless steel slice is polished by hand in Denmark. It’s an extraordinary shower head that no luxury home should be without. Available in 26 finishes. Wall or ceiling mount. $5715 list price Exclusively at Elegant Additions. What better way to light up the holidays than with a Lighted Mirror from Electric Mirror! Specifically the Eternity Lighted Mirror. The round illuminating glow it puts off will help you primp for the holiday parties or any festive function. If you opt to add the AVA technology to your dimmable mirror, you have a range of warm to cool lighting to choose from, all the way to a dim night light glow. This beautiful mirror is available in 3 sizes, proudly made in the USA, and energy efficient to boot! A little back story on the Ava Technology: Beautiful, confident, Ava. The product name Ava was chosen to honor an Electric Mirror employee’s beautiful younger sister who is battling cancer. When we first met Ava, we were struck by her strength, confidence and beautiful smile. And because this innovative lighted mirror technology brings out every woman’s beauty and confidence, naming it after Ava just made sense. Now every time a lighted mirror with Ava technology is produced, Electric Mirror employees will be reminded of beautiful, confident Ava. And every time a mirror with Ava technology is purchased, a portion of the proceeds will be donated in Ava’s honor to help find a cure for cancer. DLV HARDWARE – ANY PIECE….SANTA, IT DOESNT MATTER WHICH COLLECTION, I WILL TAKE 1 OF EACH COLOR, FINISH AND SIZE! I PROMISE I HAVE BEEN A GOOD GIRL. DLV hardware, in my opinion, is the sexiest hardware out there. It is designed and made in New York, which gives it such a beautiful “one-of-a-kind” feel. The high quality, craftmanship, and deliberate design are just a few reasons why it is listed as my Fav! I think I became a brass believer after seeing their Satin Brass and Wenge Wood Tao pull. PERFECTION! November 1st is gone already. The TV is promoting The Nutcracker and toys for kids. How did we get here already? I looked up last weekend, saw the date and panicked. I really wanted to update my own house before the family arrives for Christmas. So where to better start than the plumbing and hardware. What could I do in time that would make things a little more 2018? I started with my loft room. It’s our fun room in the trees for Sunday coffee and sunset cocktails. Screen doors and decks extend the space. I went in and removed the wood bar sink and satin nickel faucet, polished aluminum cabinet hardware, and way too big coffee table. The wall light was satin nickel too and had to come down. Now here is what it is today. 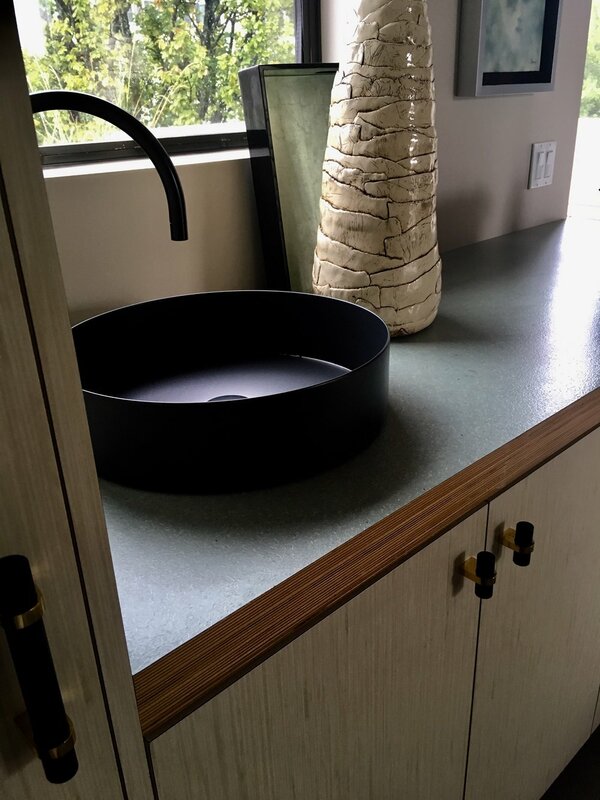 The sink is now a flat bottom matt black ALAPE bar sink. And yes it IS too late to order that now in time for the holidays. But there are other things that could come in, in time. I paired it with a matt black bar fitting from DORNBRACHT. It is part of their new special finishes program. 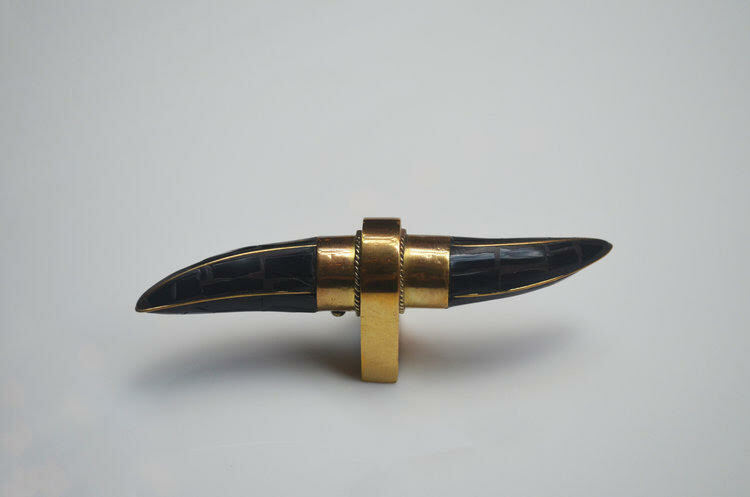 The DLV Cabinet Hardware is a combo of unlacquered brass and black and to die for. That wall lamp, well it’s now painted matt black. New art was added. A very large ottoman came in from the 1st floor. It holds a tray or just our feet. 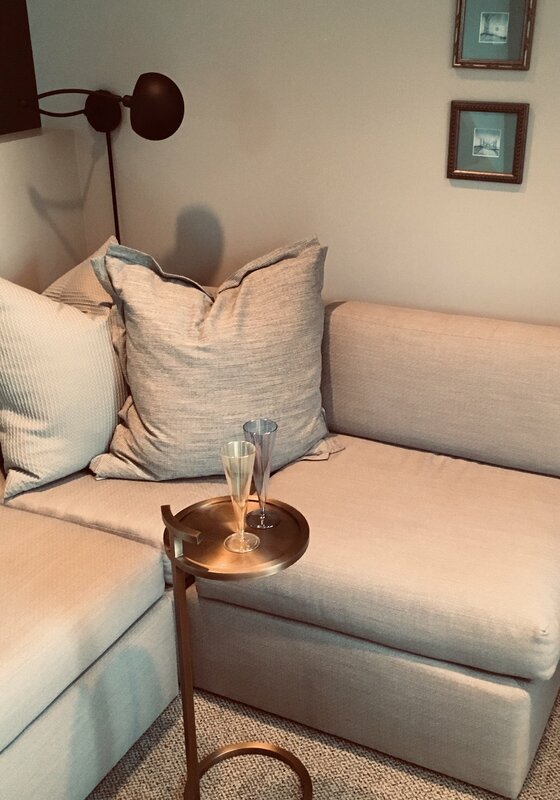 I bought two great mini martini tables for well, just that. But why stop there? The guest room needed a new fitting as the previous one looked dated. So THG came to the rescue with this perfect industrial looking fitting which coordinates with the existing legs of the console. And the mirror is from HASTINGS which was in stock in New York. I wanted a pop of color to brighten things up so new pillows for the bed too from PERFECT QUILT in Houston. Carol is amazing! Then last weekend I decided to keep going and redo the powder room. On Sunday I stripped out the room, taking down the wall mount faucet, furniture, mirror, and more. I headed to the paint store, bought a very dark chocolate brown paint and got to work. You will see in the finished room the brown came from a one of a kind collage in that room created by MARLYS TOKERUD. We love it and it holds a special place in our hearts. Off to the plater went the legs of the furniture and faucet. Voila, three days later my powder has unlacquered brass fittings with new accessories on the way. And check out the gorgeous TURNSTYLE knobs that replaced the nickel square originals. Those are going to take a little longer. And as the Elle Décor prediction for 2019 bath trends says, incorporating a large fine art piece is hot. So of course, I did just that. My last task is to replace the dining room chandelier. I headed over to our great client LADCO DESIGN CENTER and found the perfect thing in the lighting gallery. Thanks Lynn! Now, I have a lot of rooms (great current rooms) to spread out the family and guests. Thanksgiving and Christmas – bring it on. I’m ready! Hot off the presses……just out today. Elle Décor announces hottest bathroom trends for 2019. So many great ideas. I’m going to spend the fall showing and telling of many of our vendor friends in the UK. I’ve just returned from a marvelous fall trip to England and a visit to the WILLIAM HOLLAND factory. We arrived in Bath, England to meet our host, who is a resident of Bath. How appropriate that William Holland Baths is located so close to the city of BATH. But first, a personal tour of the city. Wouldn’t this make an incredible showroom? The header over the door is perfect. Next morning off to WILLIAM HOLLAND in the Cotswolds. It is a picture book place. William Holland makes hand crafted baths, basins and more, and stores them all in these gorgeous buildings. The day we were there, a dairy cow came calling, right up to the front door. Can you believe they are still using thatched roofs? All the tubs are copper or brass based and do an amazing job of holding the heat. And they really are comfortable. Stop into one of OUR showrooms and check them out. I fell in love with this place before I even arrived. Taking votes on this one…So many choices though. You can do any metal color out (including matt black) and ANY color inside! Pink anyone? But I think I want this color? If you’d like more information or a catalog, please contact us. And if you are ever in that part of England and would like to visit, please let us know. We’ll arrange it. Mark, one of the owners is a truly a lovely guy. Houston, Dallas, throughout Texas, across the U.S.A. and around the world. FIND OUT MORE about the work we've done EVERYWHERE! We hope you can start your day with us for a little networking, little breakfast, & little CEU training. We’ll be prompt and ready to ensure you start your work day off right!